It’s about now that some councils are starting to face up to the realisation that they may fall short of their savings targets for this year, and facing up to even more unpalatable options for next year. The natural tendency will be to cut services, with libraries, parks, care services all becoming common battle grounds for the complex budget discussions with members. This crude and simplistic approach strikes at the very fabric of our society, and could be argued to be inherently unfair. There is a new and different way to solve the problem and maintain a degree of fairness. It will not remove all tough decisions, particularly regarding the number of staff employed. But for many, where councils are the largest employers in the local economy, the over simplistic rationalisation programme and grant cuts agenda only adds to the local challenges they must deal with later. Authorities need to consider how to work with citizens to change the demand and pattern for services. 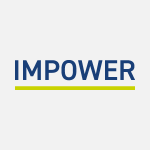 Already IMPOWER has proven with a number of Councils that by gaining a different insight into how citizens behave, and what drives their decision making, you can change what they require/demand from the local authority. Take special educational needs transport for example. In general, parents believe (because they are told by public servants), that they are entitled to require the council to make arrangements to take the child to school. Not only nationally are these costs spiralling out of control, when councils try to change these arrangements parents are naturally resistant, and the relationship breaks down. Our work with councils on this one issue, where perhaps £650m is spent on nationally, enables them to save between 15% and 25% with improved relationship with parents. We have achieved this with councils by helping them to take a different view of how to work with citizens to reshape services. Call it personalising services, call it localism or big society, but to change demand council need to engage with citizens differently, and to achieve that, councils need to accept they need to reassess how they understand their citizens. Over 30 years of international research has shown that people do not make decisions because of their economic, social, ethnic, geographical background – they make decisions based on the type of person they were, in essence their core personal values. As an illustration, very often we see the individuals with least available time or financial resources volunteering to support society – it’s not where they are but who they are that drives this behaviour. By understanding who our citizens are, we can work with them to reshape services. IMPOWER is working with an increasing number of councils to achieve budget savings in this way. Examples of services it can support to reduce budgets and sustain services include reablement in care services, increasing direct payments, engaging with citizens to make parks and libraries sustainable, waste and cycling, home care, foster care recruitment, and many other services where citizens play a part in shaping their outcome or benefit from services. The blunt instrument approach – you are taking something away from citizens – leads to reduced satisfaction in services, and worsening outcomes for citizens. Process change, focussing on back office costs, procurement improving simply is not enough to solve the crisis we now face. If councils want to survive in a modern environment, they must accept that their understanding and therefore attitude towards service users needs to mature.